Home » Digital Marketing » Website » How to Build a Website from Scratch in 15 Minutes? How to Build a Website from Scratch in 15 Minutes? 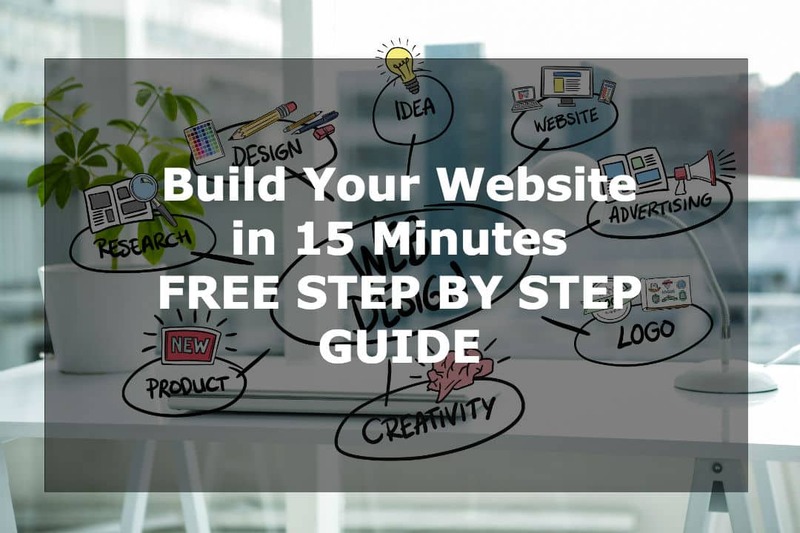 “15 minutes” is a big claim when it comes to building a website from scratch. But I am pretty serious. No fooling around. Today, I will tell you in a few simple steps how to build a website from scratch. But what so special about this FREE website setup guide? You may like to read: Why a website is important for any business? Before we begin anything, it’s imperative to finalize on the platform on which you will be making your website. Almost a decade ago, website building was not anybody’s piece of cake. Website building involved a lot of HTML, CSS, JS scripting. In short, only website developers could build a website. The learning curve for a new website developer was steep. But not anymore. With the launch of various CMS (content management system) platform like WordPress, Drupal, Joomla, etc. website development has become super easy for even beginners. WordPress is the most accessible CMS platform if you compare with Joomla or Drupal. There are various free ready to go themes in WordPress. It is free, SEO friendly, responsive, minimal coding required, etc. WordPress has more than 50% of the total shares of the website built on different CMS platforms. Large companies like Airbnb, CNN, NASA, etc. use WordPress platform for their website. Is it enough or do you need more explanation to go with WordPress? I hope I am able to convince you to stick with WordPress. It is amazing as the website on which you are currently reading this blog is built on WordPress platform. So, believe me, I know what I am talking. After you made up your mind to go with WordPress for your brand-new website, the next step is to choose an excellent domain name, a domain registrar and a host. Domain name is nothing but your website address. You need to register the available domain name of your choice before you could host it on some server. Choose your domain name wisely. Be creative, as domain name search has become a challenging task these days and most of the popular domain names are already taken. 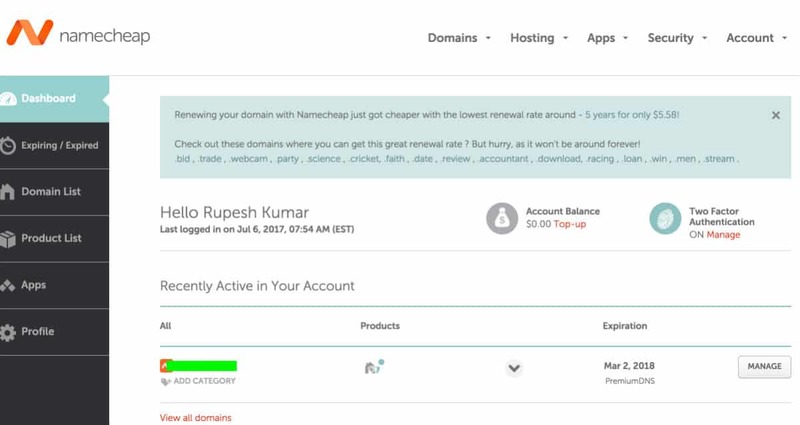 Head to namecheckr.com and search your preferred domain name. 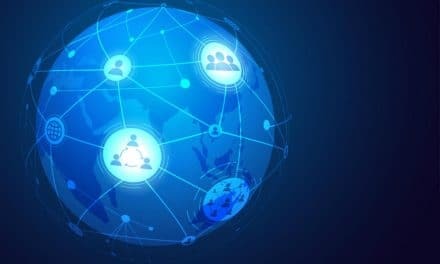 Sometimes, it is easier to go on any third-party websites just to check domain name availability since these websites could also check your domain name availability on social media. The moment you have a perfect domain for your website, you have to register it immediately. There are many domain registrars today but go with the best. My suggestion for you to go with Namecheap as they are the best when it comes to domain registrar service. The cost of domain name varies with different TLDs i.e. .com, .in, .net, etc. But in general, you will get your domain name at the price point of $6 – $9 per year. 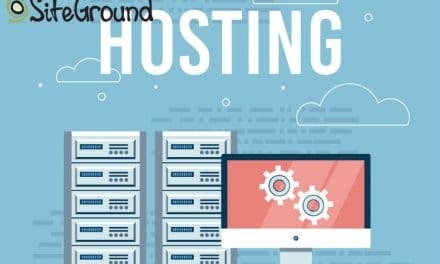 You will find a lot of host providers, but my recommendation would be Siteground. There are many benefits to go with Siteground such as 24x7 online live chat support, multiple data centers across the globe, reliable, etc. 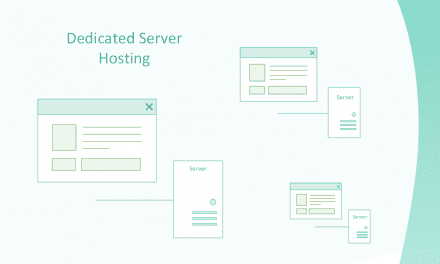 The basic plan on Siteground for hosting your website starts from $3.95/month. I would suggest you choose different domain name registrar and host. Some of you may ask me why since other websites suggest domain registrar and the host could be same. My take on this is that do not put all your eggs in one basket. In the event of security breach, at least you may have one thing intact if you have your domain name and host at different places. Also, later, if you wish to change domain name registrar or host company to some different group then things could be easier. 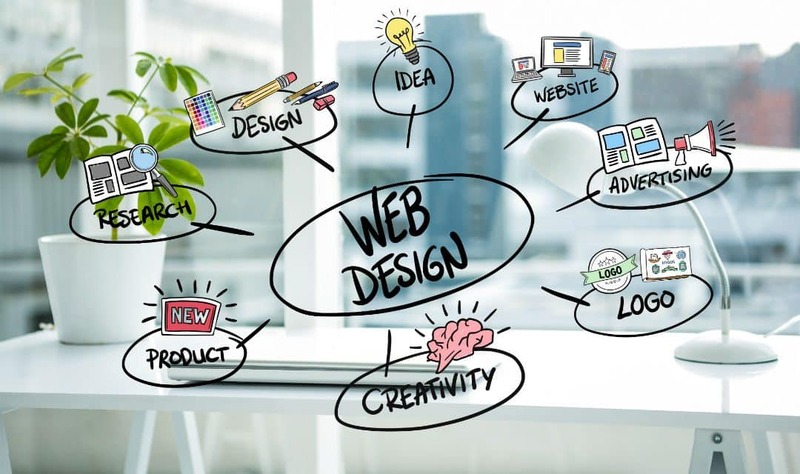 By this time, you are ready with 4 essential prerequisites of creating a website which are platform selection, domain name finalization, choosing domain name registrar and host. Now, I will let you know how to build a website in 15 minutes. Head to Namecheap website and register yourself. After you register yourself, you have to register your chosen domain name for your brand-new website. You have to pay the yearly price. Proceed to next step after you see successful domain registration on Namecheap. Go to Siteground website and register yourself. 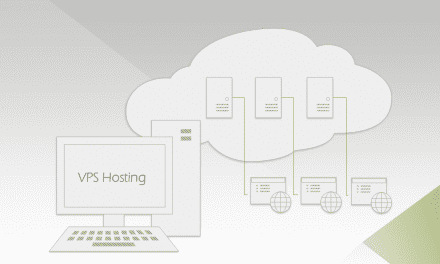 Choose one of their website hosting plans and pay the yearly price. You may have to select few options like the domain is already registered, CMS like WordPress, etc. You will be redirected to Siteground 2 min setup process (3 step account setup assistance) after the successful payment transaction. 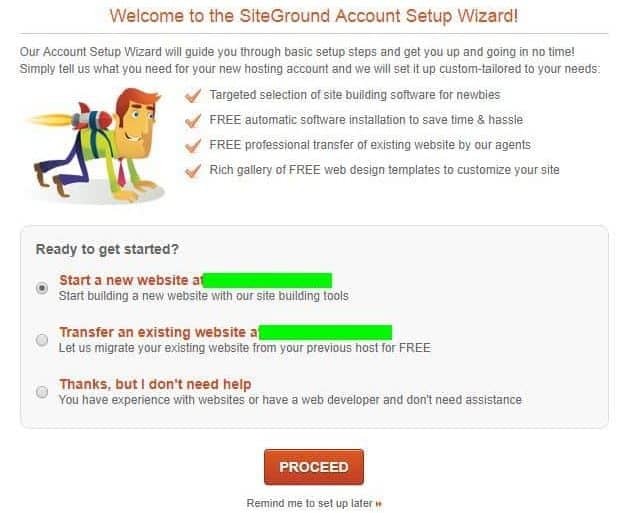 Click the 2-minute setup process to go to Siteground account setup wizard page. Since you are creating your website, so you have to select the first option as “Start a new website at yourcompany.com”. Click PROCEED to next step. 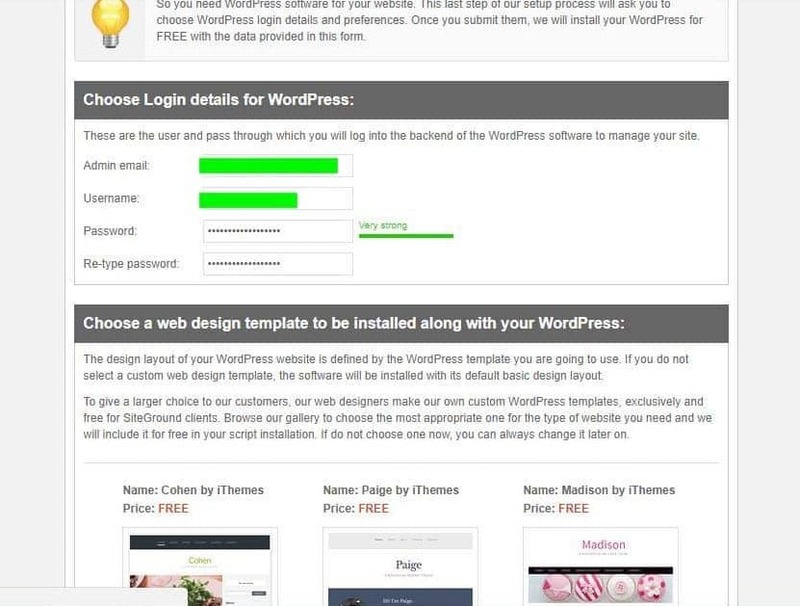 Here you have to create a username for WordPress dashboard of your newly created website. Siteground also offers you to select from their FREE WordPress themes collection. You can select one and go to next step. The chosen theme will be installed along with the WordPress. 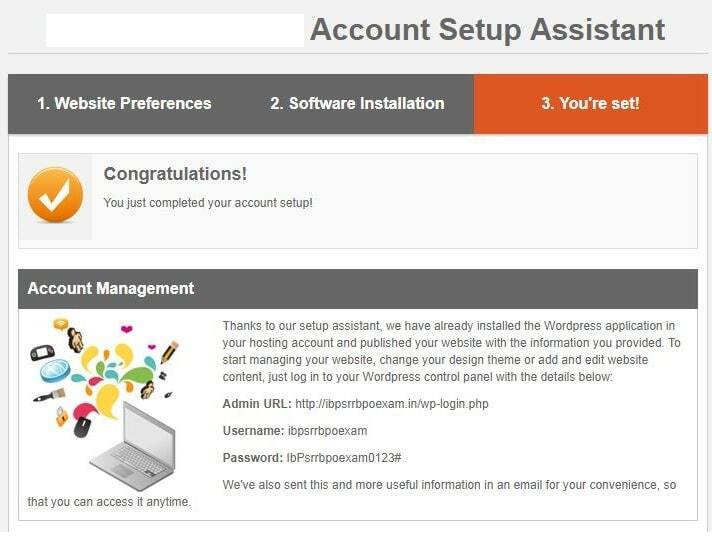 The last step shows the successful completion of overall WordPress setup process. From here, you have to go back to your Siteground “My Account” dashboard. Note down the “Account DNS”. You have to copy both DNS address. Now go back to Namecheap website and log in to your dashboard. Look for “NAMESERVERS” and choose Custom DNS from the drop down. 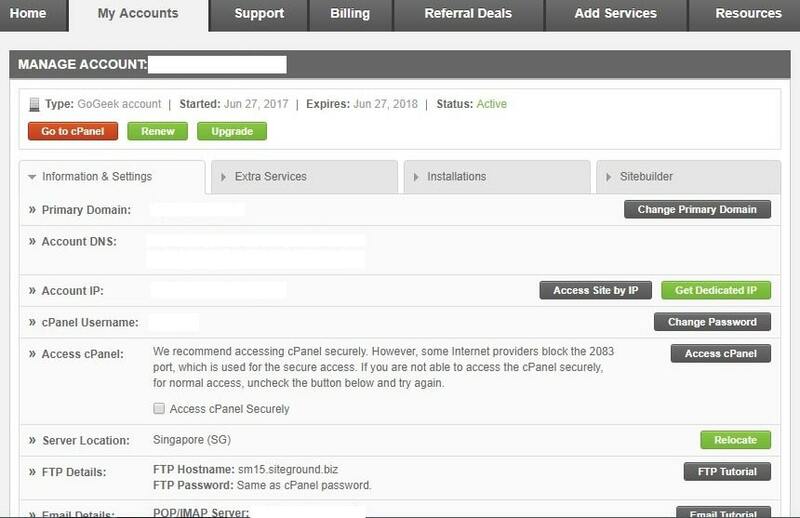 Paste copied DNS address from Siteground here. Click Save. Note: You may skip above step if your domain registrar and host are same. You are all set with your new website. Type in your website address and check the basic layout of your website. 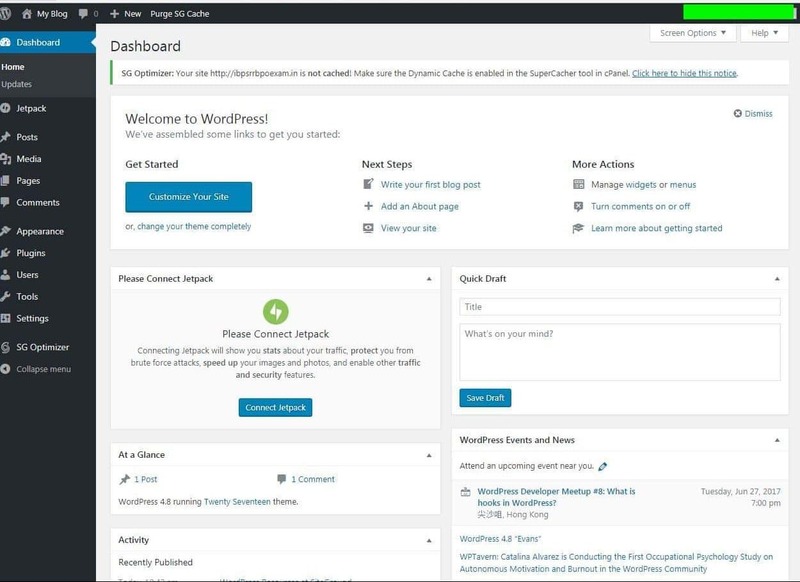 Additionally, you can type in yourwebsite.com/wp-admin to look at your WordPress dashboard. Use the same username and password which you created a while ago during the Siteground 2-minute setup process. Optimised with most of the required features of the website. My favorite paid theme is from Elegantthemes. They have many themes to suit your needs starting from the news website, e-commerce ready, photography and what not. They have a yearly plan of $89 and lifetime access of $249 for all themes. You have to register on their website and pay accordingly per your need. I would suggest you pay for lifetime access as it is cheap in the long run. After payment, you can download theme per your choice. After theme download, you can log into your website WordPress dashboard and install the downloaded theme. There is endless customization possible in the WordPress. But I am going to deal with the basic settings which are necessary for your website. Site title or page title is set to tell the core intent of the website to the visitors or researchers. It also helps search engines to rank your page if you have included your targeted keywords. But beware of keyword stuffing. Rather, it should look natural. The tagline will be added at the end of site title. If you hover now my website homepage tab, then you can see that I have set it to “Sorting and Creating Ideas”. You can make any post or page a front homepage of your website. For this you have to go to “Setting -> Reading” and set “Front page displays” per your need. One of the most important aspects of your website would be comments. 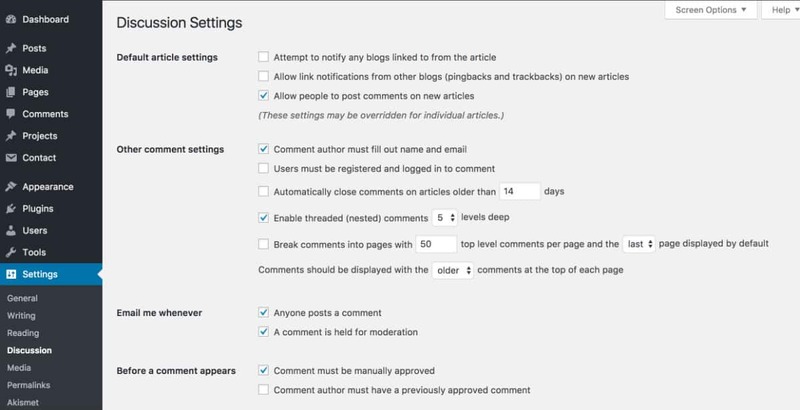 Either you may want comments on pages or blogs, or you may want to disable all. All settings about comments are in “Settings -> Discussion”. Go to this section and change per your requirements. Permalinks are nothing but the URL structure. You may want your posts and page close to your home URL, or you may want to structure your URL based on month and name. All such settings are possible here “Settings -> Permalinks”. Remember, what I told you before; you do not have to a coding geek to build your website on WordPress. That’s where plugins come into the picture. Plugins add various functionality to your website from look and feel to security. There are almost 40,000 plugins out there for WordPress, and the good news is that many of them are free. You just have to choose wisely since plugin does add time to overall website loading time. For example, if you are going ahead with Elegantthemes then you can install Bloom and Monarch which comes free with Elegantthemes subscription. Choice of plugins is endless. Go to “Plugins” and click “Add New” to install plugins. How was your experience with above guide to make a website from scratch? You could set up your website under $200 budget. Isn’t it great? Also, by setting up your website on your own gives you the freedom of managing without any external help. You will be saving a tremendous amount of money by avoiding any annual maintenance contract. Please share your experience with me in your comment section. Also, let me know if you face any issue while setting up the website. I will try my best to handle your doubts. Do not forget to share this article with your friends on social media platforms like Facebook, Twitter, etc. 7 Simple Ways to Reduce Website Bandwidth Usage or Data Transfer?